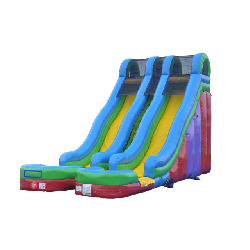 $450 19'Wx30'Lx24'H This fun and colorful water slide is great for ages. Double lane and fast. MUST BE STAKED DOWN!